Located in McMurray, PA, the Natural Touch Wellness Studio is led by Mary Martorano. She has assembled a talented group of women licensed in Bowenwork, massage therapy and other modalities. 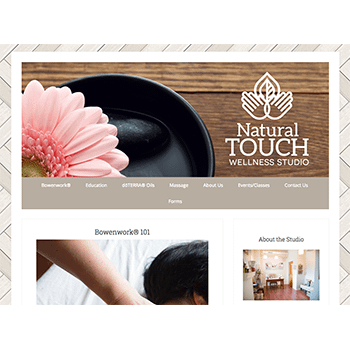 The group needed a website that featured their studio while allowing for each practitioner to have her own contact method and mode of scheduling.